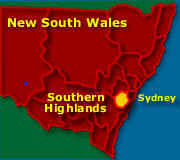 Map - See the Southern Highlands Map. While Bowral is a relatively busy town for being so close to Sydney and Mittagong, it is also the commercial centre for the Southern Highlands. Here there is a good collection of interesting gourmet restaurants, English gardens and places to shop. Bowral is also known for its many antique and craft shops, great for looking for that something special and with a bit of luck, bargain prices. 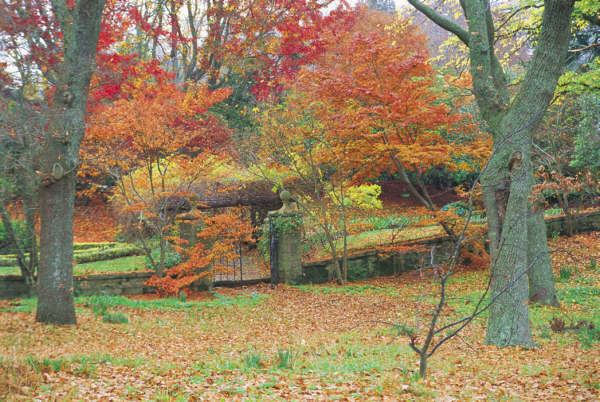 Historical homes line the streets, adorned with a wide variety of trees and gardens. One of main attractions to Bowral, besides being close to a number of beautiful national parks is the Don Bradman Museum. At the museum, a must go place for those who don’t like cricket, they love it, there is a wide collection of Sir Don Bradman’s artefacts, photos and information about his life and conquests. The museum is also dedicated to cricket itself, with lots of exhibits and collections related to the game. Every year, the Tulip Time Festival is held here in town during September to October. The town centre becomes adorned with a profusion of colour from the more than 100,000 flowers, displaying the many different types of tulips that exist. In the surrounds, there is a variety of wineries with cellar doors, to sample the cooler climate varietal wines that they produce. Mittagong is the centre of the wine industry here, located just north east of Bowral. In fact the region is considered one of a number of wine regions of Australia. The whole region has become noted for its chardonnays, pinot noirs, rieslings, sauvignon blancs and cabernet sauvignon varietals. In fact, there are more than sixty wineries in the area surrounding Bowral. So yeah, well worth visiting. 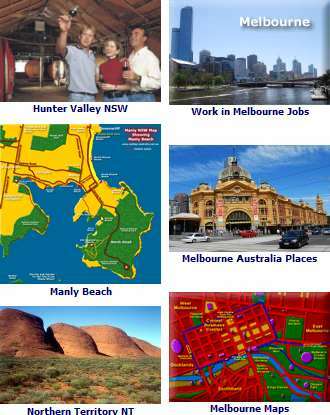 Capital Country is the NSW region surrounding Canberra and the ACT. This part of Australia includes the Southern Tablelands to the south, with the Southern Highlands in the north. Explore the NSW Snowy Mountains and the snowfields of Victoria: High Country - Victoria Snow and Alpine Eco Paradise. You can also head from the Southern Highlands to the stunning South Coast for great beaches, national parks and resorts: South Coast of NSW.